Recommended Readings: Computer Ergonomics – Stop And Think! I read recently Jeff Atwood’s post on Computer Workstation Ergonomics and I realized that I really didn’t know a lot of things that were important for my health. For the last couple of months I started working at home and I work the worst possible way – I sit in my bed holding with my laptop in my lap (this is why they called it “laptop” isn’t it?). Unfortunately, it isn’t funny at all. 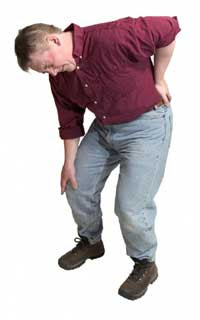 My back is aching terribly and now I know the main reason for that – my bent working pose. So I did a little research and I am giving you some links to sites with very useful information about computer ergonomics and a lot of graphics and pictures. I believe this information will be of great help to you. Don’t be careless to your heath – think about it! If you like my blog, my writing style, or my point of view, to guarantee that you won’t miss a publication, subscribe to this blog’s content via RSS feed or via email.